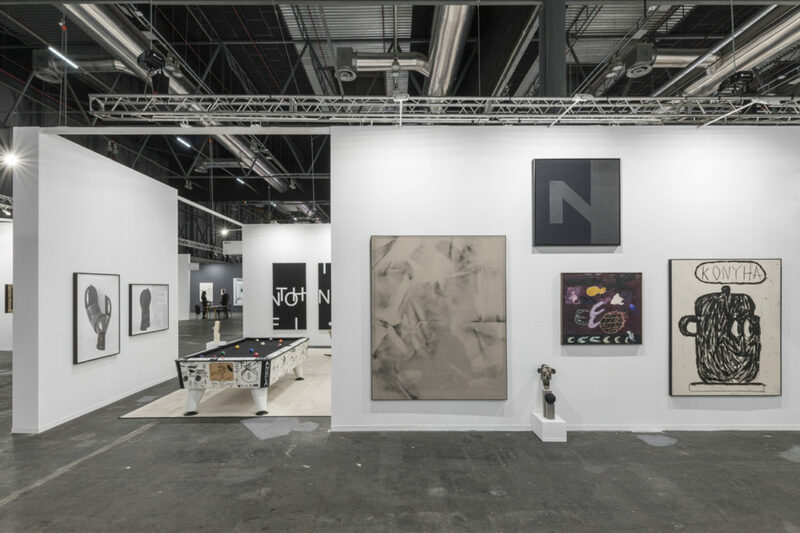 L21 booth at ARCOmadrid 2019. 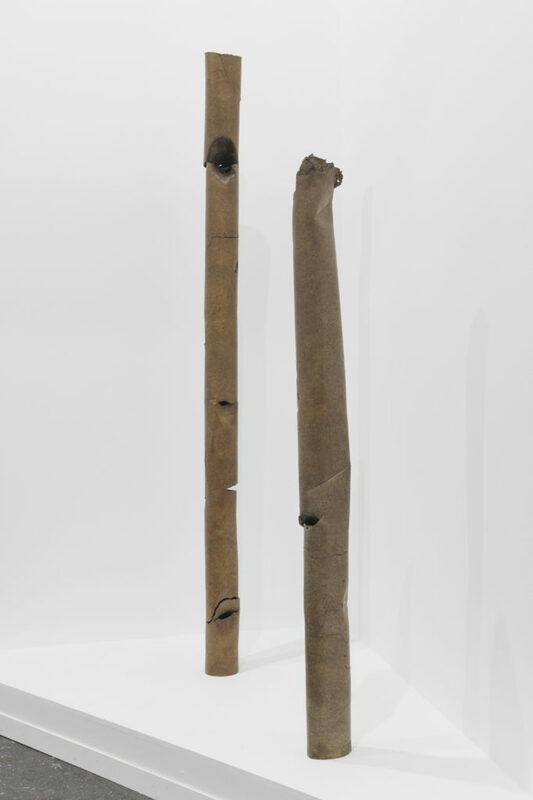 Part of the installation views. 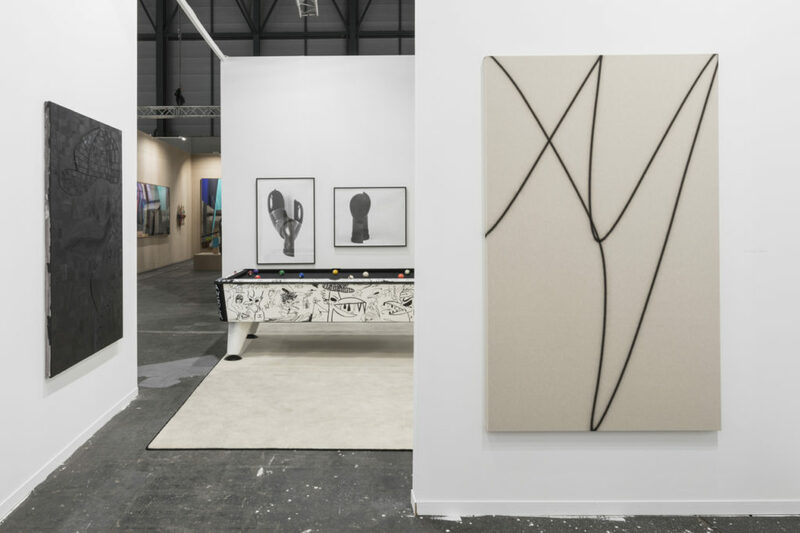 L21 booth at ARCOmadrid 2019. Paintings by Guillermo Rubí, sculpture in vitrine by Ian Waelder, sculpture on plinth by Rafa Forteza. 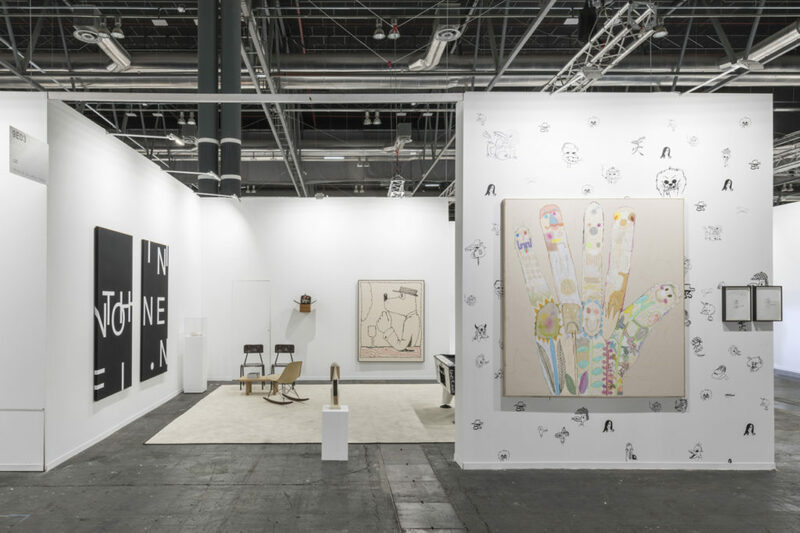 L21 booth at ARCOmadrid 2019. Paintings by Guillermo Rubí, sculpture in vitrine by Ian Waelder, sculpture on wall by Rafa Forteza. 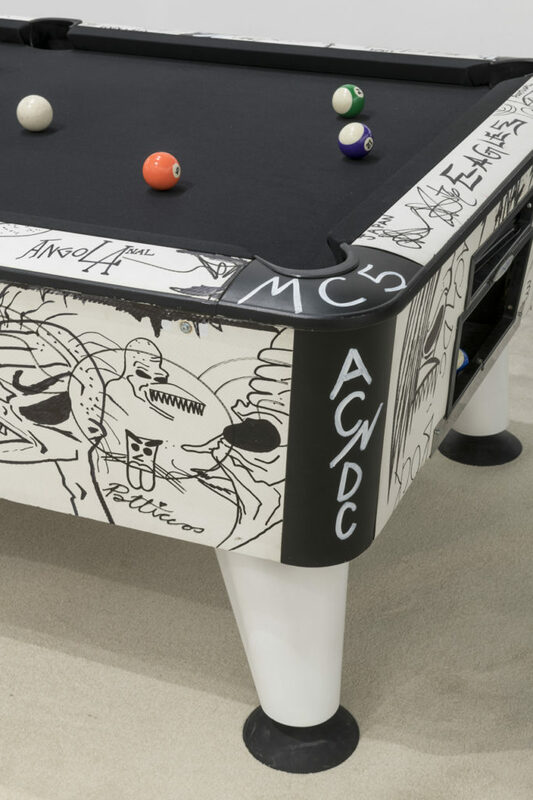 Pool table intervened by the artist. 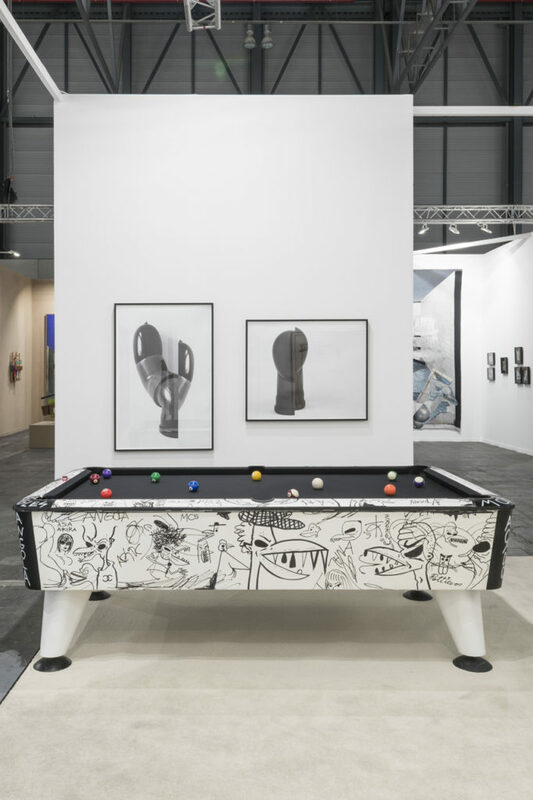 Photographs by Nuria Fuster, intervened pool table by Abdul Vas. 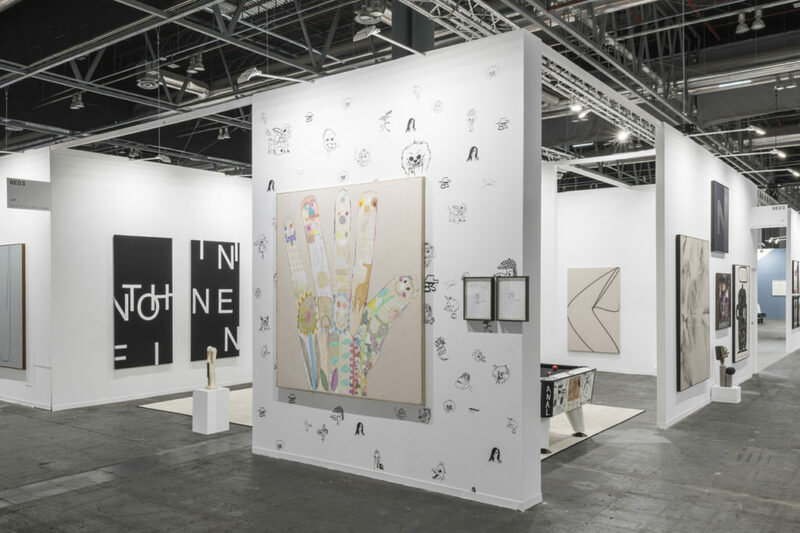 Left to right: wall sculpture by Rafa Forteza, painting by Fabio Viscogliosi, bronce sculptures in the background by Ian Waelder, and painting by Abdul Vas. 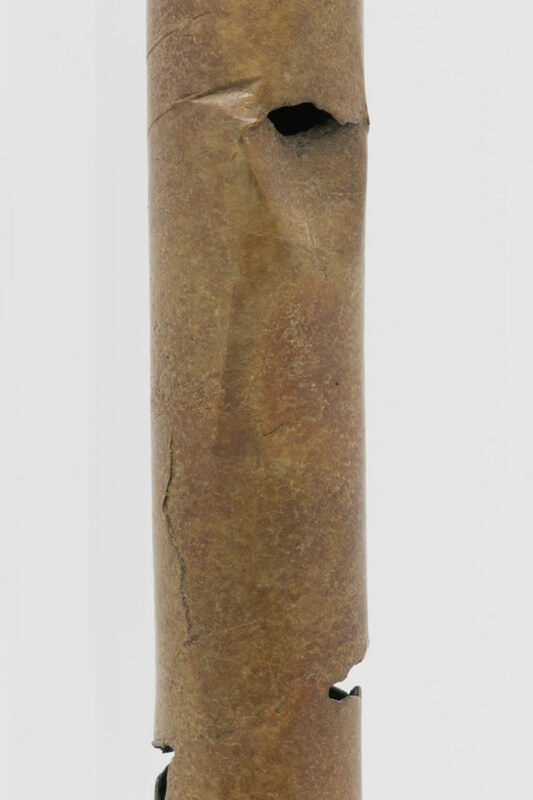 Old cardboard tubes casted in bronze. Patinated. Unique piece. 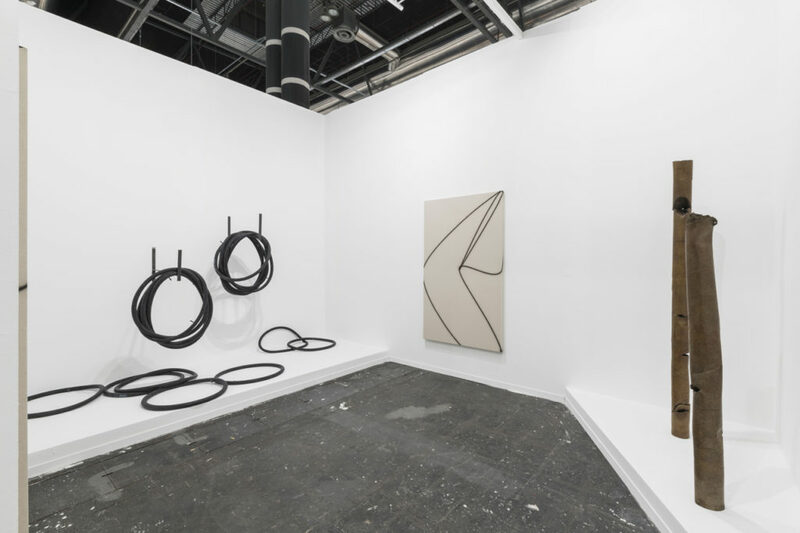 Left to right: Site-specific installation by Nuria Fuster, painting by Valérian Goalec and sculpture by Ian Waelder. Valérian Goalec and Nuria Fuster. 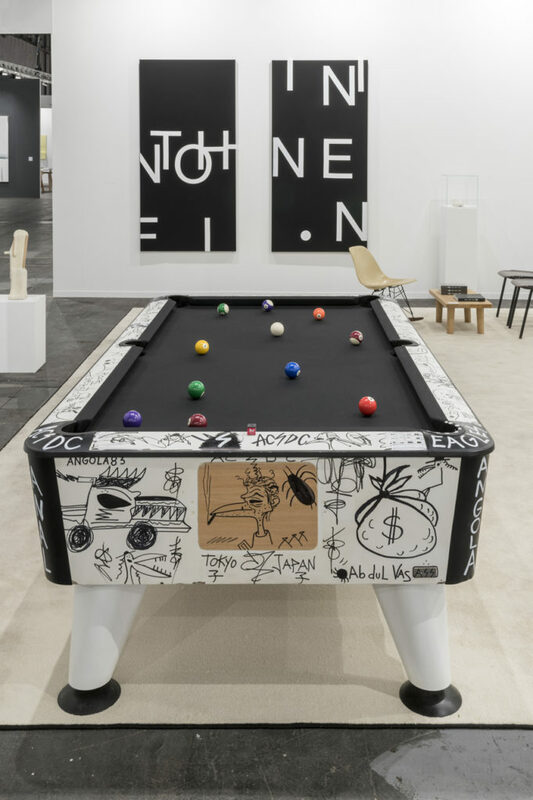 A spatial duality is what revitalizes the daily life in the industrial warehouse that houses L21: the exhibition room and the living room, the latter one is also used for dining, talking, playing. And since space and time are constituent dimensions of experience, hard to separate, there is also a duality of moments that alternate like the cycle of day and night: work and play. 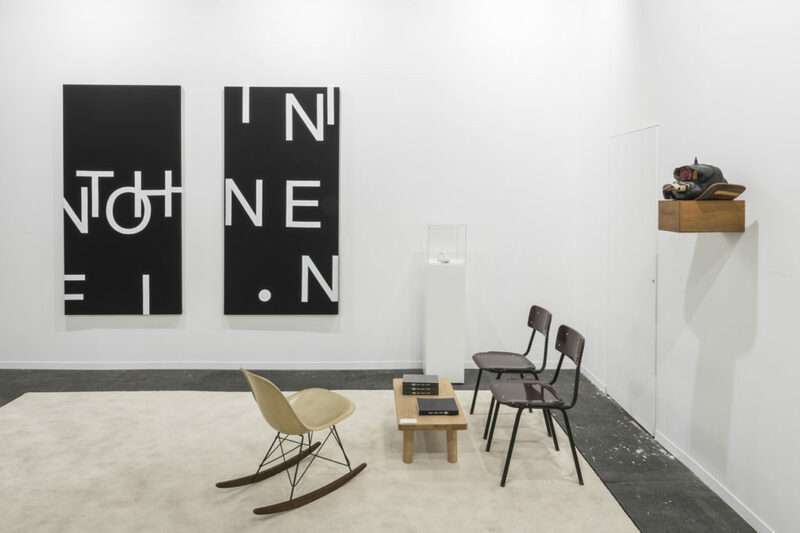 Ultimately, said duality of spaces and times delimits productivity, understood in our case as artistic or cultural production, and the ludic component that, as Johan Huizinga wrote in his “Homo ludens”, is the basis of all culture. 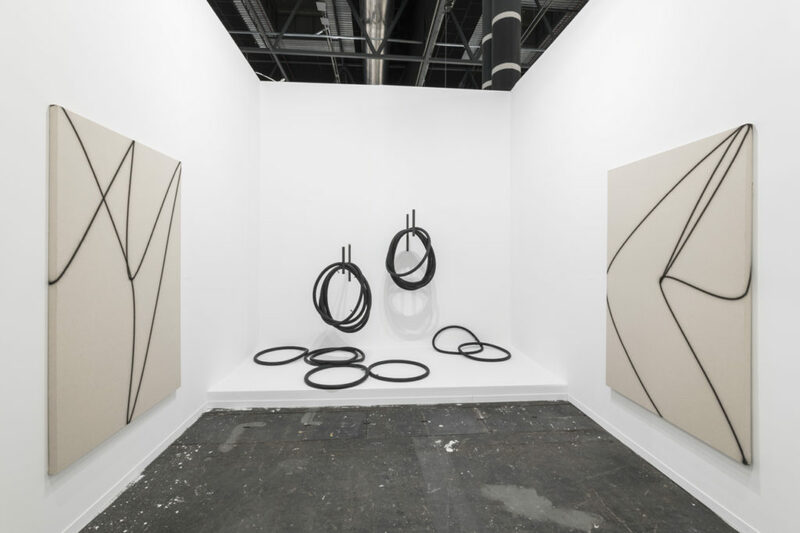 This spatial, temporal and dispositional alternance, concept of our own habitat and endeavor in L21, is what we are moving to our stand in ARCO 2019, as a translation created by various interpreters, or a model in which the different exhibited artists coexist: Nuria Fuster, Abdul Vas, Rafa Forteza, Stevie Dix, Guillermo Rubí, Szabolcs Bozo, Michael Swaney, Fabio Viscogliosi, Valérian Goalec and Ian Waelder. 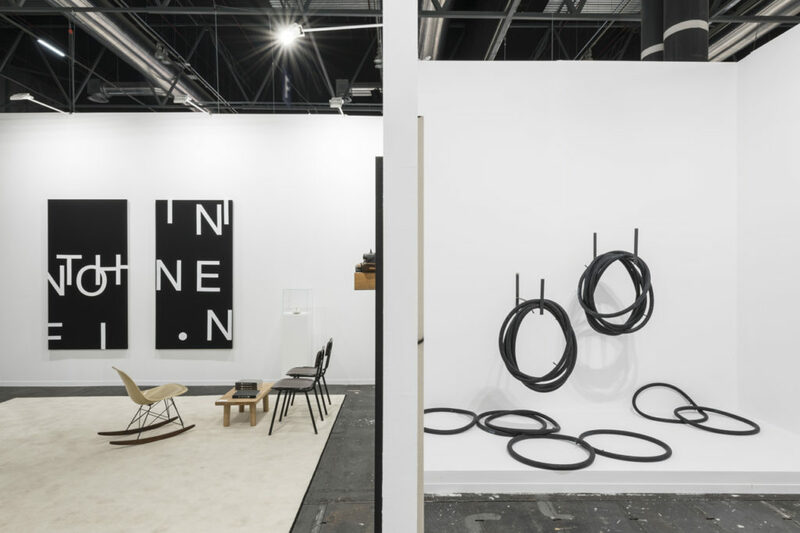 This year our stand is divided in two different environments: the first one is an open space where Nuria Fuster, Guillermo Rubí, Szabolcs Boco, Ian Waelder, Fabio Viscogliosi and Stevie Dix’s pieces are exhibited. 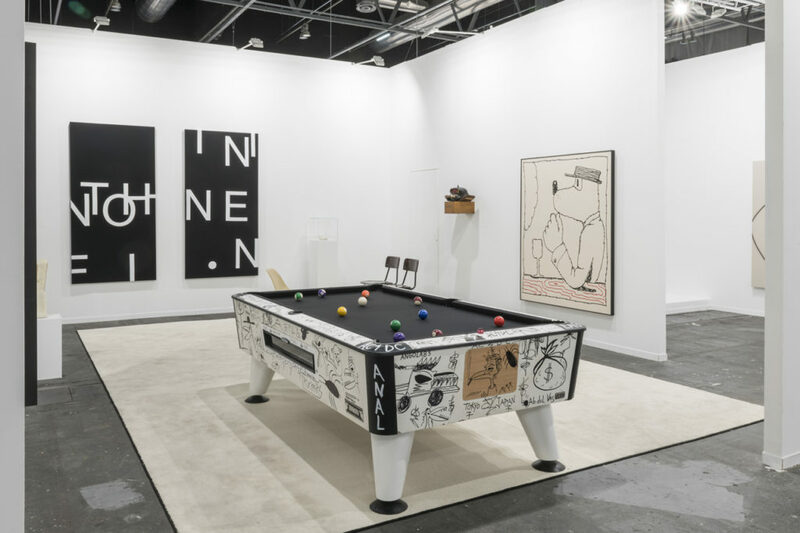 The pool table can be found here, intervened by Abdul Vas, whose iconography is also present on the stand’s exterior walls. 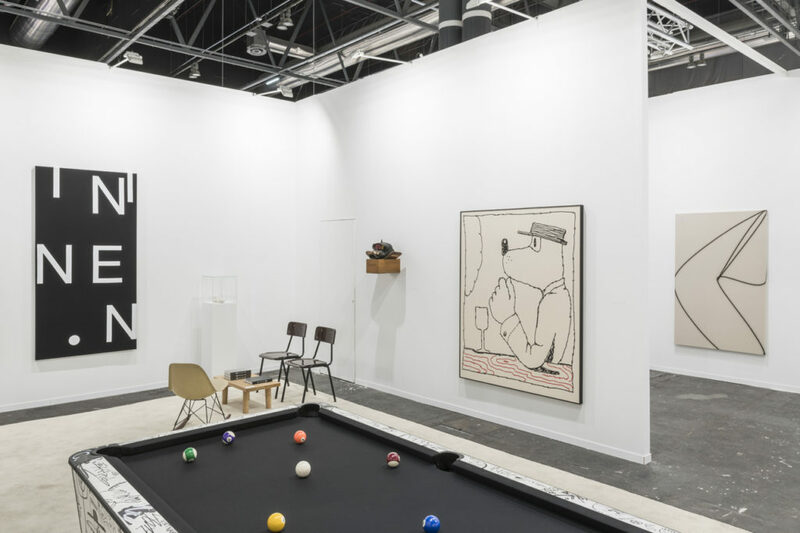 It is also possible to access another enclosed exhibition area where Valérian Goalec’s new paintings and Ian Waelder’s sculptures are displayed, as well as the site-specific installation “Spielplatz/playground/parque” (2014) by Spanish artist Nuria Fuster, based on play and randomness. 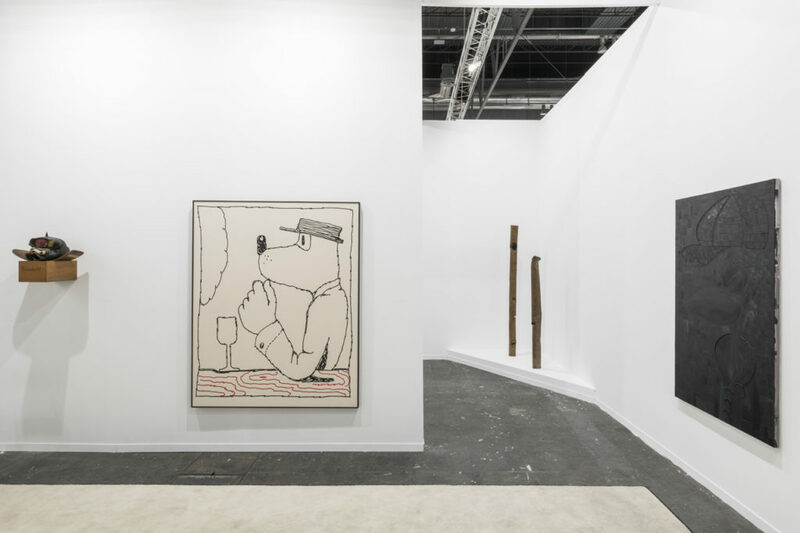 In this year’s project for our stand in ARCO Madrid, the important presence of Mallorcan artists is noteworthy, either represented by our gallery or as collaborators in specific projects during the new exhibition season. 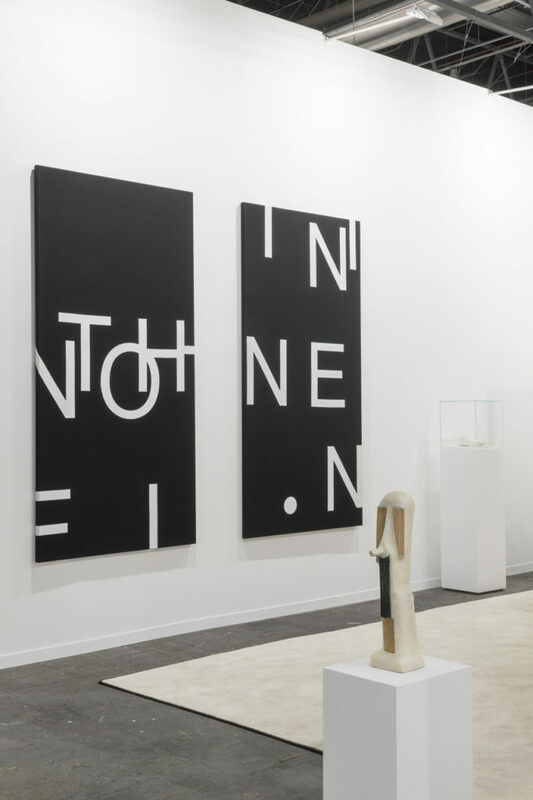 In the former case, we must mention Rafa Forteza, whose work was shown months ago in Plat (Amsterdam), and Ian Waelder, who recently had his latest solo exhibition “Das Kniegelenk” in L21. 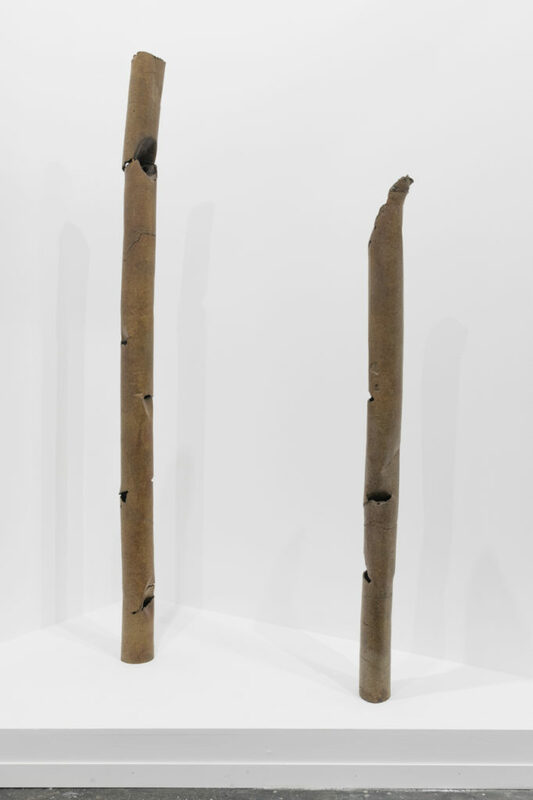 In the latter case, we find Guillermo Rubí, who will have a solo exhibition in the gallery in June of this year.